As fall begins, a lot of us are starting to think about the holidays. Thanksgiving will be here soon, as will Christmas, and then New Years. For a lot of people, these holidays equal one thing—stress. 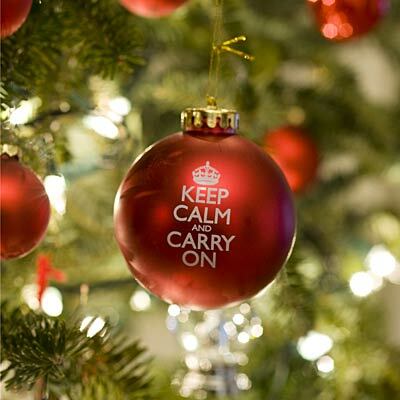 According to a recent survey, Christmas is actually rated 6th on the list of ‘most stressful life events’, being right up there beneath moving, divorce, changing jobs, and other equally stressful situations. 86% of people also said that they found buying presents difficult, and 65% said that shopping for Christmas presents was, in itself, a stress-filled experience. But why are the holidays associated with so much negativity? A big part of it is probably the expectation of ‘holiday magic’. Many mothers feel pressured to cook the ‘perfect’ Thanksgiving dinner and to wrap the ‘perfect’ presents to go under a flawless, beautifully decorated Christmas tree. Of course, all of this shopping, cooking, and decorating also costs money—which is why a lot of people face financial stress during the holiday season as well. But is it really worth it? Is a magical holiday worth stressing out over? Or perhaps an even better question is this—what constitutes a ‘magical’ holiday? This year, try to keep things in perspective. Have a meeting with your spouse and children, and try to figure out what is really important to everyone. Odds are good that everyone will agree that they would rather have a stress-free holiday season than a ‘commercialized’ one—which can be a very healthy thing to hear if you usually pressure yourself to deliver something that, in all actuality, doesn’t matter that much to the rest of your family. Above all else, try to remember that the holidays should be about relaxing, having fun, and spending time with the people you love. Do this in the manner that fits best with your life, and try not to feel pressured by magazine covers and commercials that tell you that it has to be a certain way to be ‘magical’. Why Buying a Home is Less than Renting!